The Honda Grom is king of the horsepower hill, not just in peak power but through most of the rev range, too. 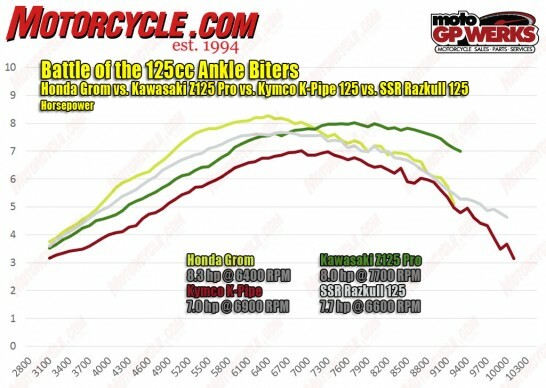 Surprisingly, the Razkull has a better curve compared to the Kawasaki until the revs climb past 6500. Meanwhile, the Kymco lags behind.